In the mid 1980's Bailey introduced Network 90, their first microprocessor based distributed control system (DCS) offering. So after about seven years of working mostly with pneumatics, I also began the move to software process control and computers. 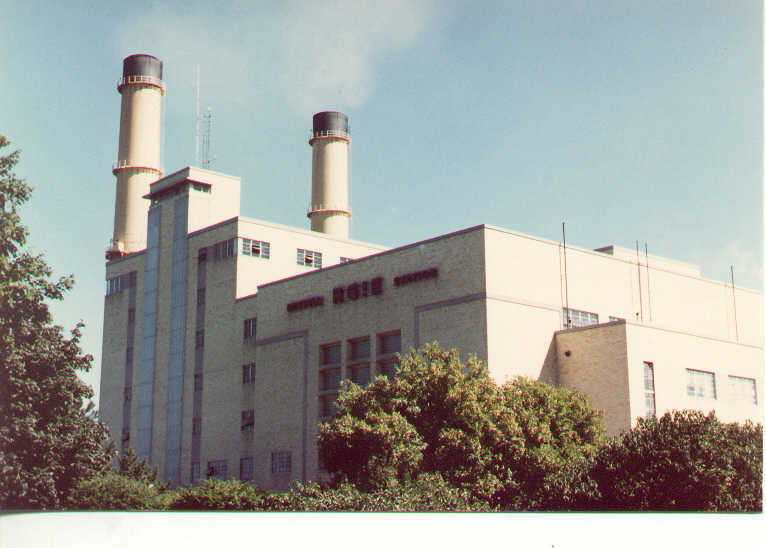 One of those early jobs include time I spent at RG&E's Russell Station in Rochester as they upgraded their boiler controls from pneumatic to Network 90. 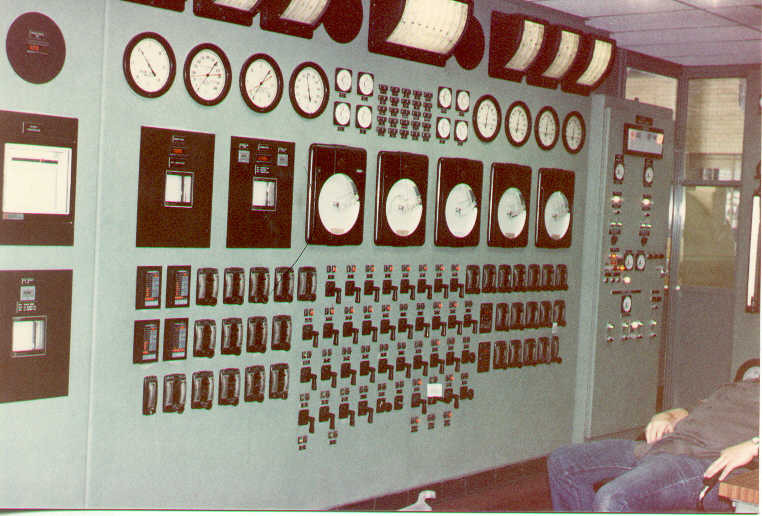 Original panelboard operating devices prior to system upgrade. 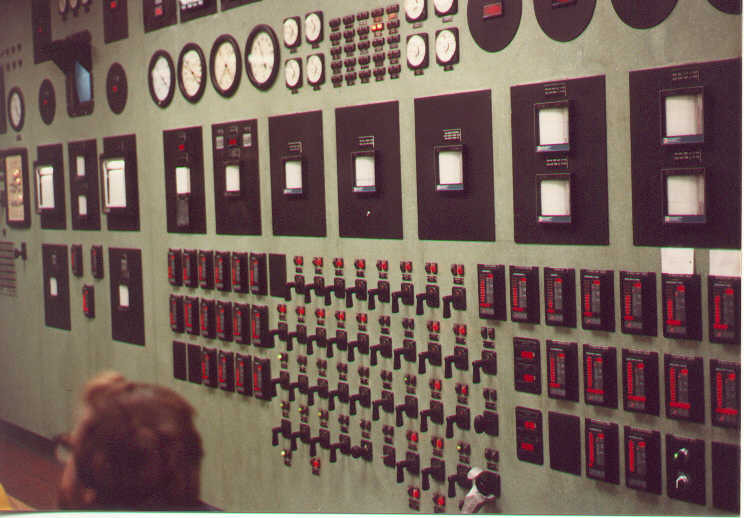 Panelboard sporting anew look with updated Hand/Auto stations, digital readouts and strip chart recorders. 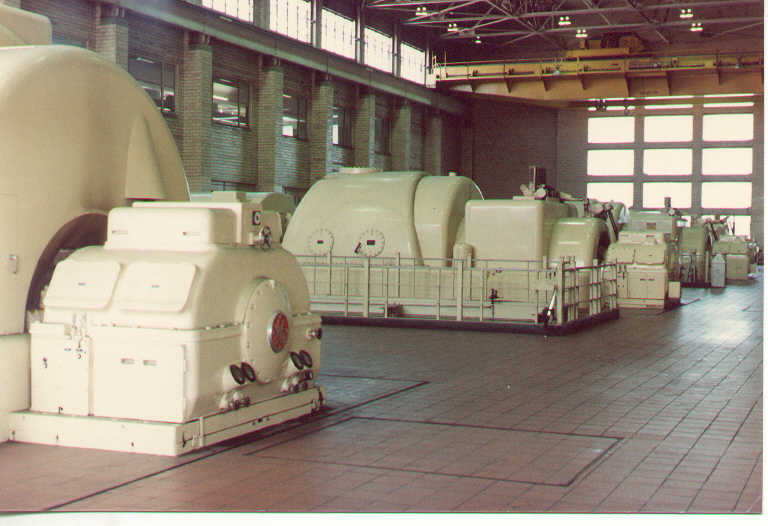 A few hundred megawatts of electricity would be generated when all these turbines were operating.